A Dougie Cooper picture, date estimated. 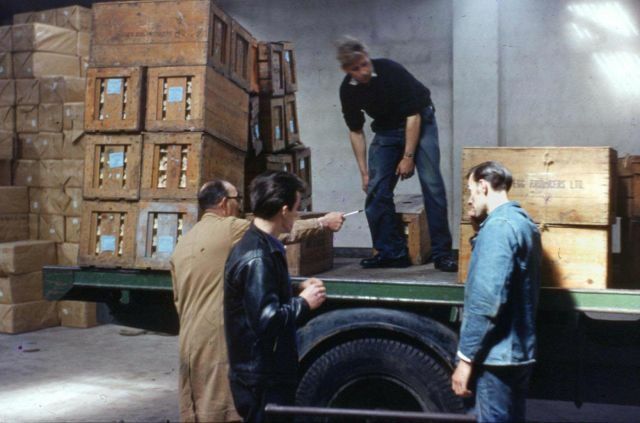 Rae was right about the lorry in his comment on picture #1422- here is the green lorry being loaded with boxes of eggs. Forgot to add the date is about 1964/5 judging by my hairstyle! !